How to cut through the confusion around aged care in Australia! What you need to do so you or your loved one ages well! How to avoid the nursing home by being proactive! One in three elderly parents suffer a fall, and most families don’t get help until it’s too late. Some 80% of the calls we receive are from family members after there has been a critical incident or crisis – e.g. a serious fall and hospitalisation. Sadly, at this point remedies and help are often limited and also may not be available to families for some time. 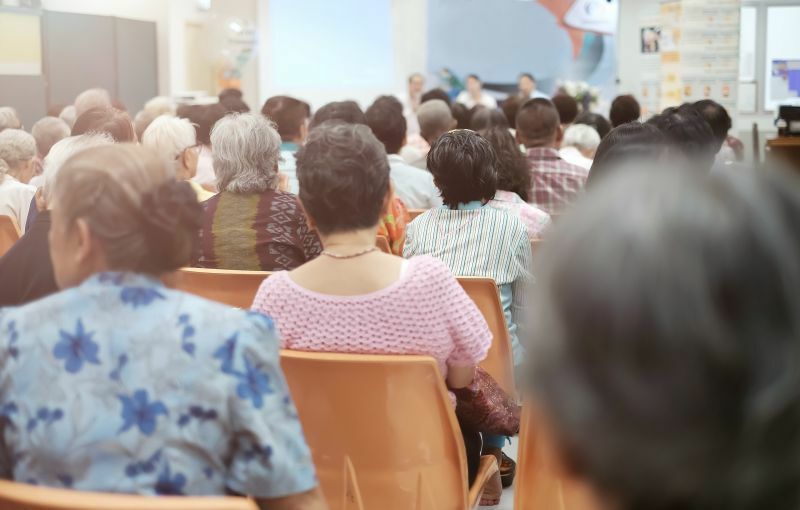 In response to this widespread confusion about how the aged care system works, Platinum Healthcare and Spyker Legal are presenting two FREE information seminars. In the lead up to the August seminars Len discussed some of the challenges faced by our elderly and their families on Mornings with Mike at Sonshine FM. You can listen to the discussion here. ​Hi Len, Thanks for the very informative evening. The way you explained the process was really good and easy to understand. Much easier than how the HACC lady explained to me when we started going through the process with Mum. And yes, still waiting after a few months for ACAT . Like you mentioned at the meeting it’s something that needs to be spoken about with the parent(s) way before the time we think we need the extra help. Thanks again. The seminar will be presented by Len Schoof, Client Services Manager at Platinum Healthcare Group and Warnar Spyker, Director of Spyker Legal. There will be opportunities for questions and discussion following the presentation. Bookings Essential Reserve Your Place Now!